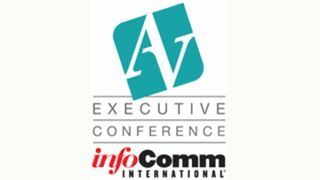 InfoComm’s AV Executive Conference is set to convene in Miami just a few short weeks from now, so in gearing up for one of the industry’s flagship business leadership conferences, SCN has been talking to a few of the attendees about what’s drawing them there this year. One of the main attractions for Theresa Hahn, VP of marketing and business development at Verrex, are the group sessions where industry peers share ideas and best practices in a neutral environment. Whereas some of these peers are considered competitors and are not folks they would normally interface with on this level, AVEC allows them to learn from their peers in the broader interest of moving the industry forward. The keynote speakers from Harley Davidson and Life is Good are another big draw to Hahn as a marketing executive. “[Hearing from these] two really big brands that have done exceptionally well for themselves, that was probably the most important thing for me going is to be part of those sessions,” she said. The opportunity to further network with industry peers, members of Verrex’s Global Allied Network, and other people who have supported them throughout the year are highlights for her as well. Frank Culotta, president of SYMCO, who has yet to miss an AVEC, has witnessed how the attendees have come around to accept the new business model over the years. “Earlier on, people seemed to be still pushing back on the substantial and significant changes from hardware profit models and being the traditional AV business model, to how everyone’s eyes have opened to service-based profit models, recurring revenue, partnering,” he said. It’s just this opportunity to step out of the daily grind to think bigger picture and longer term in conjunction with the networking that Culotta looks forward to especially.